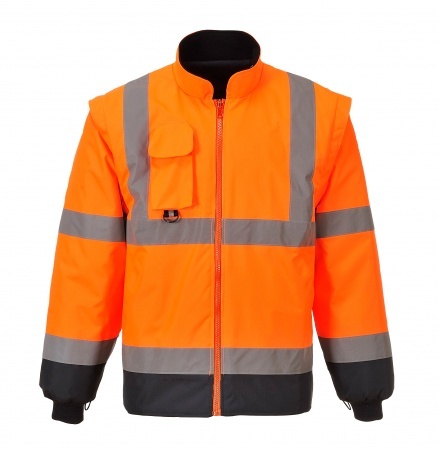 The Portwest S426 Jacket is a highly innovative and functional jacket that offers seven wearer combinations. 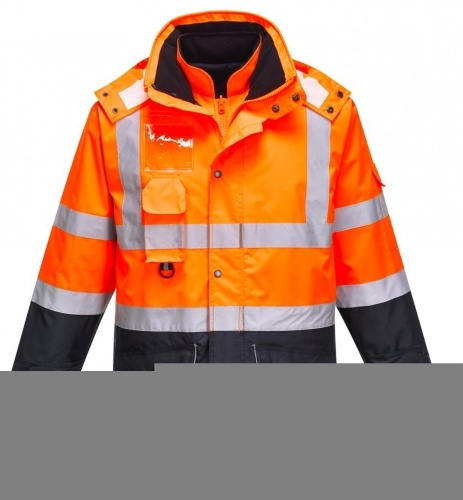 This versatile jacket is highly adaptable to all weather conditions and is certified to the highest in waterproof and breathable standards. 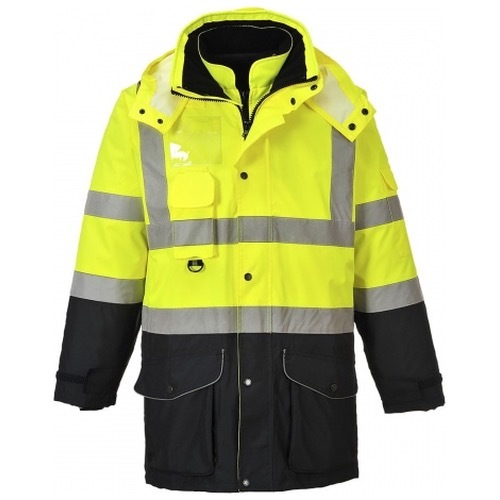 Features include fleece lined collar for optimum warmth and comfort, radio loop, D-ring, ID holder, multiple pockets for ample storage, reflective piping, detachable hood for easy storing and print access for corporate branding.